International concert clarinetist, professor at the Conservatorio Profesional de Música of Tenerife, principal clarinet of the Orquesta y Ensemble del Atlántico and assistant with the Tenerife Symphony Orchestra. As one of the the most internationally renowned piccolo clarinet players nowadays, he works on spreading the literature for this instrument. He has collaborated with composers like Martínez Gallego, Teo Aparicio, Laura Vega, Simon Milton, Alexander Mullenbach and David Menent to broaden the repertoire of the E flat clarinet and has premiered pieces in Spain, USA, Poland, Italy, Portugal, France, Belgium and Austria. As an example, Spanish Folk Variations for E flat clarinet and piano by M. Gallego was performed as part of the Clarfest 2013 in Italy. Then, he premiered the same piece arranged for wind band, at the Palacio de la Ópera in La Coruña (Spain). “…The concert was a virtuosic display on the E­flat Clarinet…” (The Clarinet Magazine) Born in Cullera (Valencia), Javier Llopis started his musical studies at the Sociedad Musical Instructiva Santa Cecilia in his hometown and afterwards obtained the Bachelor’s Degree in clarinet and chamber music at the Conservatorio Superior de Música de Tenerife with honors. Then, he extended his studies in Spain, France, Germany and Austria under Alois Brandhofer, Alfred Prinz, J. Bergerard, Bertram Egger, Eric Hoeprich, Thomas Friedly, Walter Boeykens, Geraldine Allen, Michelle Carulli and Juan Antonio Fenollar. Throughout all his career, he has played in numerous solo and chamber music recitals in America and Europe, performing in halls like Palau de la Música de Valencia, Auditorio de Tenerife “Adán Martín”, Teatro Solís de Montevideo, Teatro Leal de La Laguna, Sala “Leopold Mozart” in Salzburg, Teatro Metastasio de Assísi, VPAC Main Hall in Los Angeles, La Cité de Nantes, Palacio de La Ópera de La Coruña, Centro Conde Duque de Madrid, or the brand­new hall in Katowice, collaborating with artists like Anett Luig, Desireé Scuccuglia, James Lent, Klaus Roht, Krisztina Fejes, Monserrat Caballé, Magdalena Wojcieschowska, Amadeus Quartet and Weiner Quartet among others. In May 2016, he will perform Oscar Navarro’s “II Concerto for Clarinet and Orchestra” with the Orquesta Sinfónica del Estado de Paraiba (Brazil). 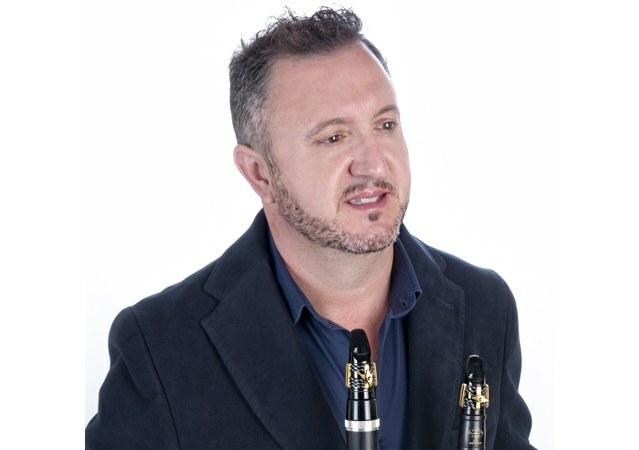 He has been principal clarinet with the Orquesta Sinfónica Santa Cecilia de Cullera, Orquesta Sinfónica Isla de La Palma, Banda Municipal de Las Palmas de Gran Canaria and Principal E flat clarinet with the Banda Municipal de Santa Cruz de Tenerife. He has also collaborated with the Orquesta Sinfónica de Tenerife, Orquesta de la Zarzuela de Tenerife, Orquesta des Pays de La Loyre, Mozarteum Orchestra Salzburg, Orquesta Clásica de La Laguna, Orquesta Filarmónica de Gran Canaria, etc. As an enthusiast pedagogue, he is often invited to teach in Spain and abroad. In 2016 he will give a course at the Academia Metropolitana de Lisboa. He has also started a project in Sanganxa Music (Valencia), where he will teach clarinetists who want to specialize in piccolo clarinet every three months. Mr. Llopis has been a jury member in the “High School Clarinet Competition”, organized by the International Clarinet Association. He has always been a devoted chamber musician, what led him to perform with different ensembles and well known musicians. He founded the Trio Roda, Cuarteto de Clarinetes Di Bassetto, Quinteto Amadeus, Dúo Ébano, and the Octeto de Clarinetes “Santa Cecilia”, among others. He has participated in innovative initiatives like the design of the automatic composition “Batch 440” by the musicologist Sergio Oramas. He performs regularly with the pianist Mara Jaubert since 2010, developing a diverse repertorie, from music for E flat clarinet to contemporary music. He has recorded music for radio and television (TVC, TVE, Radio 2, Radio Gallega, Canal 9, Teidevisión, TVP) and also chamber music by Canarian composers like Milena Perisic or Laura Vega for the RALS record label. Nowadays he is doing a great work by studying and developing the E flat clarinet, through a collaboration with Ember Woodwinds. His biography appears in Gianluca Campagnolo’s book “Great Clarinettists”. Among his projects for 2016, he has concerts and masterclasses in Spain, USA, Portugal and Brazil, as well as the recording of a cd with Mara Jaubert dedicated exclusively to Ibero­American music. Javier Llopis is a Buffet Crampon, D’Addario Woodwinds and Silverstein artist.